It’s been hailed as superfood, demonised as a saturated fat, extolled an all-round beauty product and vilified for its calorific contents. When it comes to coconut oil, the world cannot make up its mind. With more saturated fat than butter and lard, experts have long-debated whether consuming the oil could actually do you more harm than good. 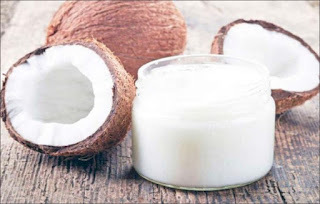 Now, a study conducted by researchers at the University of Cambridge has found that coconut oil might actually lower the risk of heart disease and stroke when consumed every day for just four weeks. As part of the BBC2 series of Trust Me I’m a Doctor, Professor Kay-Tee Khaw and Professor Nita Forouhi recruited 94 volunteers between the ages of 50 and 75, none of whom had a history of heart disease or diabetes. They split the participants into three groups and each was asked to consume 50 grams (roughly three tablespoons) of either coconut oil, extra virgin olive oil or unsalted butter every day for four weeks. Scientists were interested in seeing how eating these fats regularly would affect the volunteers’ cholesterol levels – and the results were surprising. While the butter consumers saw an average rise of 10 per cent in their levels of LDL cholesterol, widely-known as the “bad cholesterol”, those consuming olive oil saw a slight reduction in LDL levels and a five per cent rise in HDL cholesterol levels, which is often referred to as the “good cholesterol” because it boasts protective properties. Meanwhile, those who ate coconut oil saw the biggest rise in HDL levels with an average of 15 per cent, leading researchers to believe that the supposed superfood could be a little bit super after all as it may lower one’s chances of developing heart disease or stroke. While the results are promising, Khaw was quick to stress that the study was only short-term and that changing one’s dietary habits based on their findings would be “irresponsible”. “I think decisions to eat particular oils depend on more than just the health effects,” she told BBC.